Posted on November 28, 2018 at 9:47 am. Every day in December will be Christmas at UK-licensed online casino HighRoller.com. Part of the Gaming Innovation Group, HighRoller.com will give away free gifts without any strings or wagering requirements attached and each gift will be different, so there is something for most types of iGamers. Running from December 1 until midnight on the 31st, the gifts will be handed out from Papa Pidge’s Special Christmas bag and your gift might be one of free spins, super spins, free bets or cash coins — all things worthy of making your festive season a little brighter. Another great feature of this promotion is that if you make a deposit between Monday and Saturday you will receive an even better gift on Sunday – to wash away those hangovers. 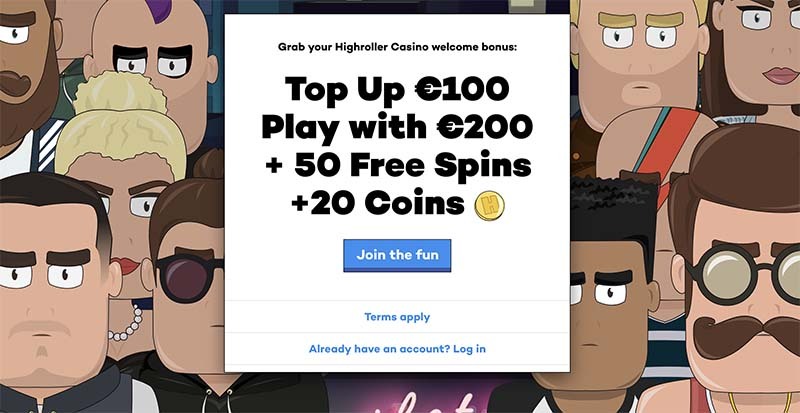 It’s a simple process to take part in the HighRoller.com Christmas promotion with the first thing you need to do being to open an account. You will have only 24 hours to use the freebie each day of December, before it is replaced by your next gift, even if you have not claim the freebie. There is a 25x wagering requirement on any free spins or super spins winnings and these must be cleared within three days of claiming the freebie. 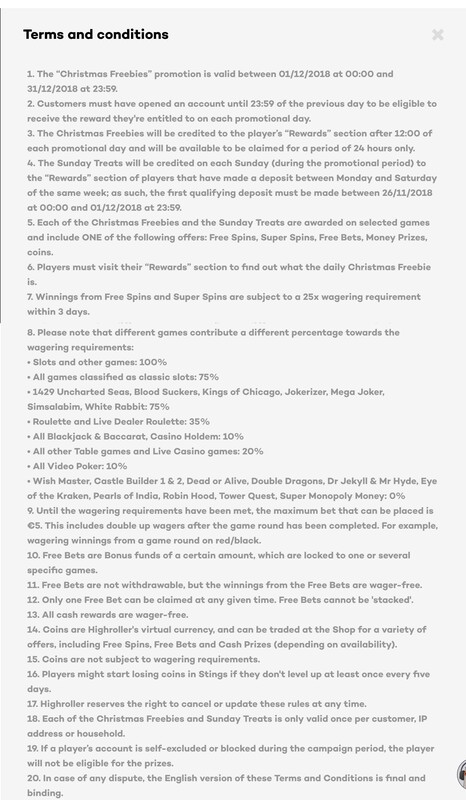 While most slots clear these wagering requirements at 100% there are a handful of games, including Super Monopoly Money, Tower Quest, Wish Master, Dead or Alive, Castle Builder 1 and 2, Dr Jekyll & Mr Hyde, Eye of the Kraken, Pearls of India and Robin Hood that do not clear the wagering terms.